Aust Ch & Neut Gr Ch Lanbart Hugo Boss HT ET "Flynn"
Flynn is an exciting addition to Dawnus Kennels, with his impressive pedigree featuring the illustrious Briarbrooks kennels courtesy of his sire 'Bobby' - Am, NZ & Aust Ch Alnair's The Guardian. 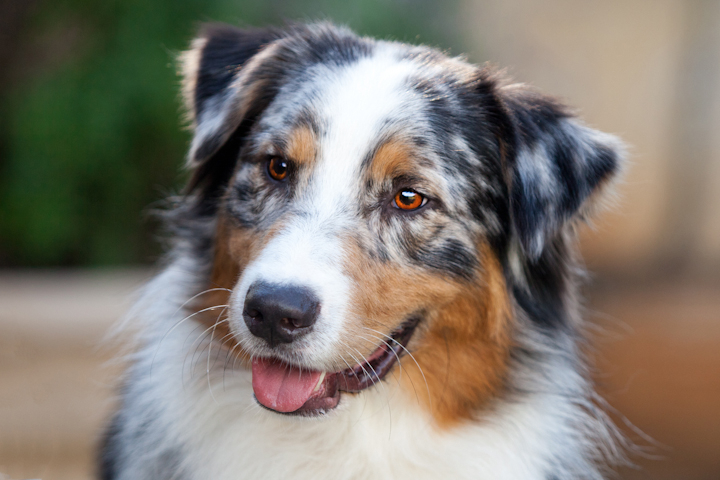 Flynn is a well put together moderate Aussie, with an outstanding head and out-going friendly nature. He has captivating ring presence and an effortless easy flowing gait. Flynn is a Multi Best in Group winner, also achieving numerous classes in group and classes in show wins. He gained his Herding Test title with ease showing his versatile nature and love for what he was bred to do. I would like to thank Tracy and Steve of Lanbart Kennels for the opportunity to have this little fire cracker of a dog. 2012 saw Flynn achieve his Endurance Test (ET) title with a huge thanks to his handler Shell Gurney! He is now beginning his foundation work in both agility and flyball - look out for him hitting up the performance rings. Flynn was desexed mid-2013 due to health reasons and now competes with flair in the Neuter classes and is a Multi Best Neuter in Show winner. 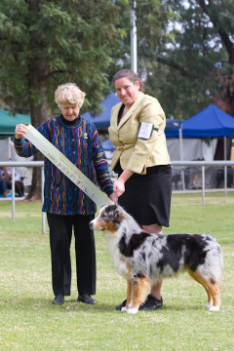 Winner of the 2014 Australian Shepherd Club of NSW Neuter in Show under renowned breed specialist Gail Karamelegos (USA). Flynn is now owned and loved by the wonderful Greentree family who still let me steal him to show on the odd occasion.